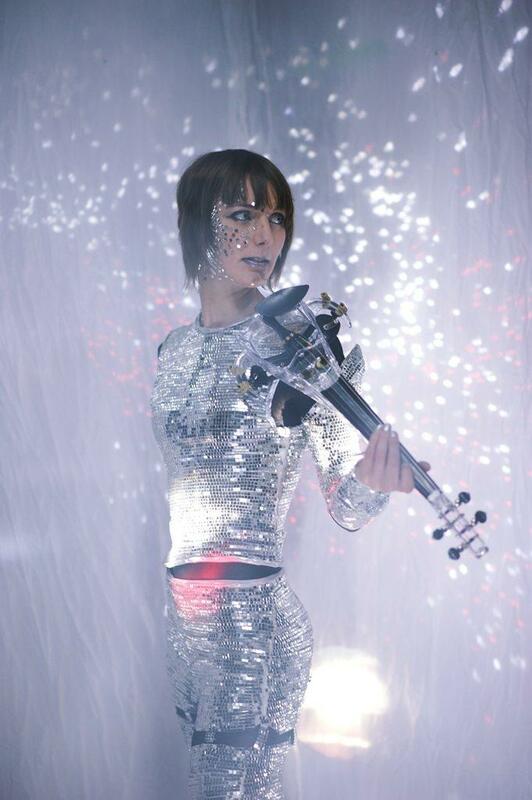 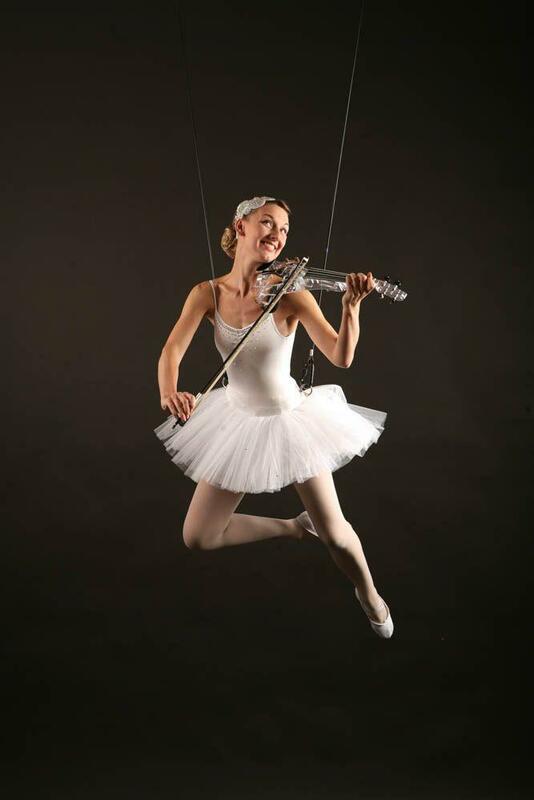 Our classically trained aerial violinist, will amaze your guests as she plays enchanting music whilst 5m up in the air! 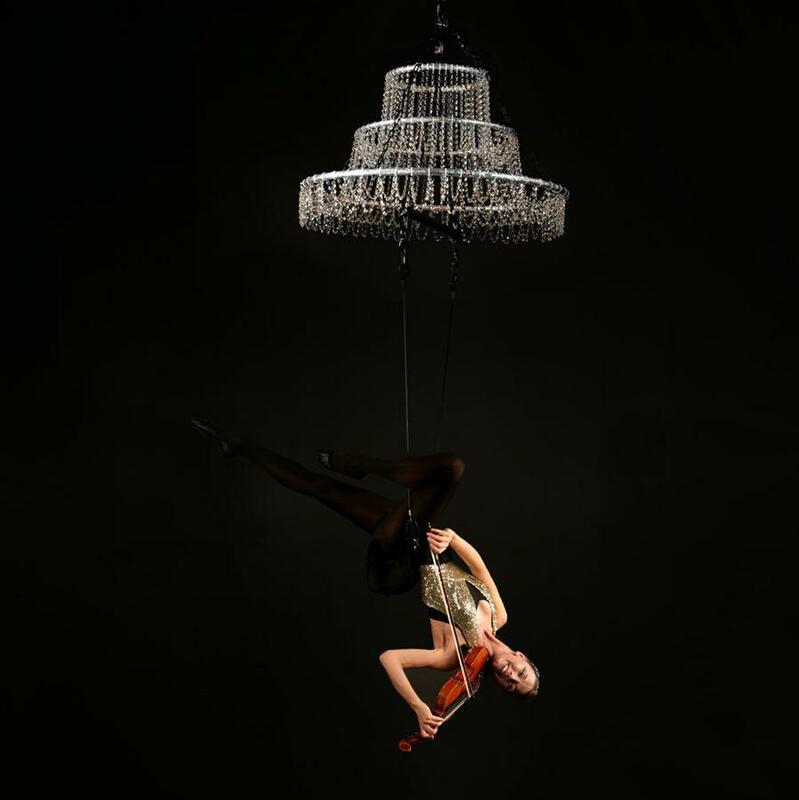 The new freestanding aerial rig also means that the Violin Aerialist is no longer limited by indoor performances with rigging points, or complex and expensive structures. 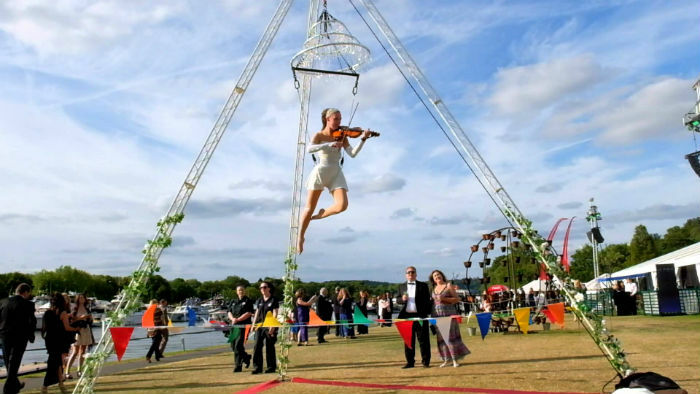 The Violin Aerialist performs on a simple tripod-formation aerial rig which can be set up in only 30 minutes and allows the Violin Aerialist to create these wonderful performances in any setting. 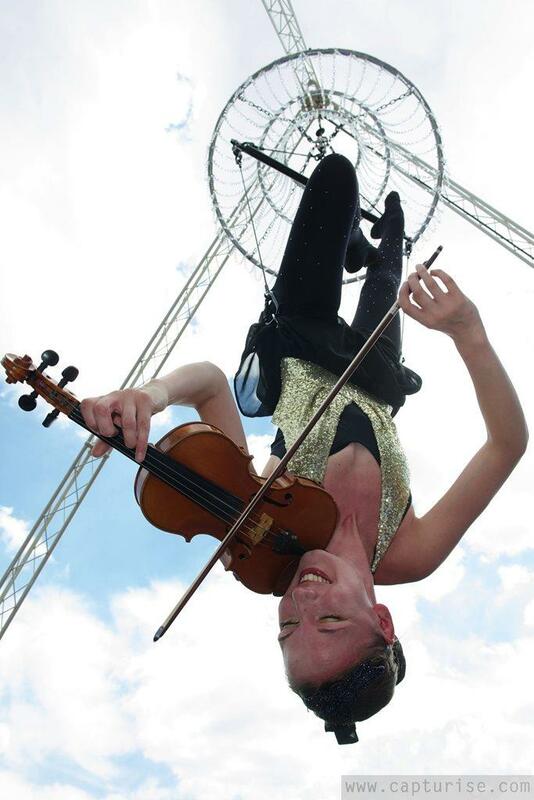 ★ Will amaze your guests as she plays enchanting music whilst 5m up in the air!